MID YEAR GRAND CLEARANCE | 4th - 15th Oct 2018 | Time: 10:30am - 7:00pm Call on all SMART SHOPPER! Check out our VALUE-FOR-MONEY high end quality kitchen appliances, sink+tap, water filter and home appliances clearance. 🚩Super Low Price Combo Sets. 🚩Mix-n-Match At Bargain Price. 🚩*RM399 for High Grade SINK + TAP (check into package). 🚩Guarantee LOWEST PRICE in town. More to details: https://bit.ly/2puWQI0 (Location guide) Kota Damansara: https://goo.gl/maps/92JqNCNfGU82 Waze: https://waze.to/lr/hw281zv6nz Klang: https://goo.gl/maps/n7WQ11JrPJQ2 Call/WhatsApp us:- www.wasap.my/60129697497 PRICE MATCH: We constantly check our prices to give you the best deal possible. Call us if you've seen offer is cheaper elsewhere. Enjoys! More celebration in this coming 2018 MERDEKA with Lebensstil Special Merdeka Deal. Get this LEBENSSTIL Professional Hood LKPH-9603GBF at only RM999* when purchase any Lebensstil cooking burner hob. *From 30-Aug till 2-Spet 2018. Reserve your unit today! Call/WhatsApp us for more info:- www.wasap.my/60129697497 (Google Maps) Kota Damansara: https://goo.gl/maps/92JqNCNfGU82 Waze: https://waze.to/lr/hw281zv6nz Klang: https://goo.gl/maps/n7WQ11JrPJQ2 *T&C apply. All Premium Appliances Mid-Year Clearance. From: 7th May to 10th June, 2018 (THURSDAY - SUNDAY) Time: 10:30am to 7:00pm GST 0% - It is best time to buy now! Up to 80% discount branded appliances for you to grabs! More info: http://bit.ly/2FA8FCB (Direction to showroom) Kota Damansara: https://goo.gl/maps/92JqNCNfGU82 Waze: https://waze.to/lr/hw281zv6nz Klang: https://goo.gl/maps/n7WQ11JrPJQ2 Call/WhatsApp us:- www.wasap.my/60129697497 *REMEMBER: Purchase together with friends to save more! (ask for more money saving purchase) Enjoys! Amazing RAMADAN COMBO package. All best kitchen appliances on clearance sale. Grabs your early-bird RAMADAN CASH REBATE VOUCHER now and bring along friends to enjoy more saving. From: 18th May to 20th May, 2018 FRIDAY - SATURDAY - SUNDAY Never before such LOW PRICE. Best COMBO PACKAGE. SAVE MORE in every purchase. High SPECIFICATION Appliances. Grabs your before too late! More detail: https://bit.ly/2puWQI0 (Direction to showroom) Kota Damansara: https://goo.gl/maps/92JqNCNfGU82 Waze: https://waze.to/lr/hw281zv6nz Klang: https://goo.gl/maps/n7WQ11JrPJQ2 Call/WhatsApp us:- www.wasap.my/60129697497 *REMEMBER: Purchase together with friends to save more! (ask for more money saving purchase) Enjoys! MASSIVE STOCK CLEARANCE From: 3rd May to 5th May, 2018 * Early Bird Special Price (for walk-in only). Never before such LOW PRICE. Very LIMITED STOCK. SAVE MORE in every purchase. High SPECIFICATION Appliances. Grabs your before too late! More detail: https://bit.ly/2FpSnvq (Direction to showroom) Kota Damansara: https://goo.gl/maps/92JqNCNfGU82 Waze: https://waze.to/lr/hw281zv6nz Klang: https://goo.gl/maps/n7WQ11JrPJQ2 Call/WhatsApp us:- www.wasap.my/60129697497 *Purchase together with friends to save more! (ask for more money saving purchase) Enjoys! LEBENSSTIL + FAGOR Seasonal Stock Clearance. From: 3RD-MAY to 5RD-MAY 2018 * Early Bird Special (for walk-in only). Never before such LOW PRICE. Very LIMITED STOCK. SAVE MORE in every purchase. High SPECIFICATION Appliances. Grabs your before too late! More detail: https://bit.ly/2FpSnvq (Direction to showroom) Kota Damansara: https://goo.gl/maps/92JqNCNfGU82 Waze: https://waze.to/lr/hw281zv6nz Klang: https://goo.gl/maps/n7WQ11JrPJQ2 Call/WhatsApp us:- www.wasap.my/60129697497 *Purchase together with friends to save more! (ask for more money saving purchase) Enjoys! FLASH SALE | 20th - 21st April 2018 | 10:30am - 7:00pm | at URBANEZ - Distinctive Kitchens & Appliances outlets. 2 Days Special Sale. Package price you never believe when walk in to showroom. Crazy price than in any home fair event. Big..big..BIG DISCOUNT in this 2-days only. (Google Maps) Kota Damansara: https://goo.gl/maps/92JqNCNfGU82 Waze: https://waze.to/lr/hw281zv6nz Klang: https://goo.gl/maps/n7WQ11JrPJQ2 Call/WhatsApp us for more info:- www.wasap.my/60129697497 More package details in www.urbanez.com.my Enjoys! 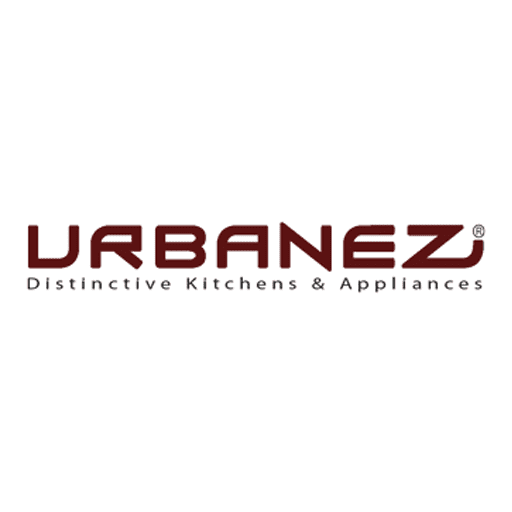 Ext Super Clearance | 22 - 24 March 2018 | 10:30am - 7:00pm | at URBANEZ - Distinctive Kitchens & Appliances Outlets Thursday to Saturday (3 Days Only) High quality and branded kitchen appliances at very special promotion price by supplier. Wait no more. Drive to Urbanez showroom now. More detail: http://bit.ly/2puWQI0 (Direction to showroom) Kota Damansara: https://goo.gl/maps/92JqNCNfGU82 Waze: https://waze.to/lr/hw281zv6nz Klang: https://goo.gl/maps/n7WQ11JrPJQ2 Call/WhatsApp us:- www.wasap.my/60129697497 Enjoys! Super Clearance | 9-11 March 2018 | 10:30am - 7:00pm | at URBANEZ Outlets. Value-for-money package combo sets for Smart Shopper! Selectively realiable and practical Kitchen Appliances that you can find at lowest price in town. All in Urbanez. (Google Maps) Kota Damansara: https://goo.gl/maps/92JqNCNfGU82 Waze: https://waze.to/lr/hw281zv6nz Klang: https://goo.gl/maps/n7WQ11JrPJQ2 Call/WhatsApp us:- www.wasap.my/60129697497 Enjoys! Special Weekend Sale From: 2nd-4th Feb. 2018 Time: 10:30am - 7:00pm Get your best lowest-price kitchen appliances package in this 3-days sale. More info: http://bit.ly/2FA8FCB (Google Maps) Kota Damansara: https://goo.gl/maps/92JqNCNfGU82 Waze: https://waze.to/lr/hw281zv6nz Klang: https://goo.gl/maps/n7WQ11JrPJQ2 Call/WhatsApp us:- www.wasap.my/60129697497 * Shares our Facebook page to your friends. * TAG your friends together to enjoys more on this DEAL package. 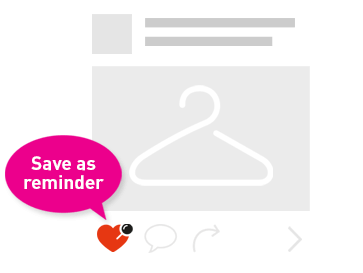 PRICE MATCH: We constantly check our prices to give you the best deal possible. Call us if you've seen this product cheaper elsewhere. Showroom Set Display Clearance | Now Until 14-Jan-2018 | 10:30am - 7:00pm | at URBANEZ Outlets. * Discount UP TO 80% * 1st-Come-1st-Serve basis * Many Choice Grab your unit(s) here: https://goo.gl/PGZ3Xi (Google Maps) Kota Damansara: https://goo.gl/maps/92JqNCNfGU82 Waze: https://waze.to/lr/hw281zv6nz Klang: https://goo.gl/maps/n7WQ11JrPJQ2 Call/WhatsApp us:- www.wasap.my/60129697497 * Shares our Facebook page to your friends. * TAG your friends together to enjoys more from this event. Join us in celebrating the NEW YEAR with our "Purchase with Purchase" promotion! Start with a cleaner & healthier water supply with WATERCO. For more products information and 'know-how' on the water filtration, do drop-by to our Urbanez Outlets. (Google Maps) Kota Damansara: https://goo.gl/maps/92JqNCNfGU82Waze: https://waze.to/lr/hw281zv6nzKlang: https://goo.gl/maps/n7WQ11JrPJQ2Call/WhatsApp us:-www.wasap.my/60129697497 * Shares our Facebook page to your friends. * TAG your friends together to enjoys more on this DEAL package. Year End Display+Stock Clearance | 8th-10th December 2017 | 10:30am - 7:00pm This is CRAZY YEAR-END Sale @ URBANEZ - Distinctive Kitchens & Appliances outlet. High to mid-end kitchen appliances brands at low price clearance, UP TO 70% OFF. Also special offer and the LOWEST PRICE IN TOWN package for your to grabs! 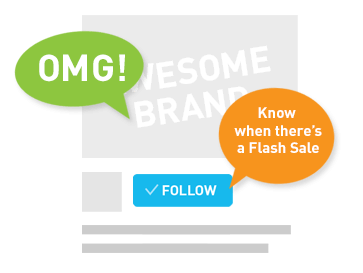 (* Get it now or you never able to enjoy this price again *) Mark your calendar & DON'T MISS OUT! (Google Maps) Kota Damansara: https://goo.gl/maps/92JqNCNfGU82 Waze: https://waze.to/lr/hw281zv6nz Klang: https://goo.gl/maps/n7WQ11JrPJQ2 Call/WhatsApp us:- www.wasap.my/60129697497 * Shares our Facebook page to your friends. * TAG your friends together to enjoys more on this DEAL package.